HI Lis and thanks again. I was thinking all the way through the post that BMR would be better but I don’t earn any money online yet. The break down at the end did it for me. I will be sticking with postrunner until I start earning then rethink. It would be nice though if Mark and Court were both seeing reviews like these and possibly acting on them. Being very new to IM I don’t liek writing content for other sites but have come to terms with that however I don’t like the idea of writing content and it not getting indexed. You say you have a way to do this, if its not too much of a secret can you tell me how pretty please? I don’t want to take up the 10 free links offer just now if it means I may miss out on the cheaper monthly rate by not signing up in the 1st 15 days so I will just wait and see how things pan out. LOL – see I will never make millions – because that’s why I put that paragraph in! Its really easy to keep buying stuff when you are making no money – not quite sure on the psyc of it but its something like the shopping I used to do at lunch time when I hated my day job LOL! Do me a favour and come back when you start making some money! Heh, hopefully it won’t be long. I am working on the TKA focus badge just now using my first supersite. Using all the vids on TKA have been great to fingers crossed. Nice write-up Lis! I’ve been wondering about their service. Seems solid enough. I have to say I am loving BMR, got good serps results already and the speed is incredible. No tags to add, no finding the correct site etc, but I would stick with Postrunner too for some great diversity, and they have given great results as well. But every article so far has been indexed after a week or so, with nothing done to help them on their way so that is a good sign of a worthwhile network. Yeah I am gutted about the tags – NOT! Nah I liked your writeup too! Reviews I used to do for a living – easy stuff! I too am seeing real results from BMR in terms of advancing up the SERPs after only a week. And I agree with Dave about the posting speed that’s possible with their interface. I load in my links and anchors when I start a project and then it’s zip, zip, zip. Many of these types of products start out with a bang and then go downhill after they’re discovered by the masses, so I’m going to use the heck out of it while it’s still good. I was just considering BMR. Your post was perfect timing. I think that when I get paid my money this month, I am going to invest in BMR and at least try it out for a couple months. I was considering a few othter services like this but I have only heard good things about BMR so I will be trying them out first. Damn Lis! Now you broke it! There will be a 1000 users through your aff link and each one of the sites in their network will get 1500 posts a day, the system will lag and the links will be worth nothing. Hmm… Don’t see it yet… I’ll contact their support and ask about it – I’ll maybe need some of your account details for that so can you shoot me an e-mail? What are your thoughts long term. I have never used other link networks like linkvana and underground network (I think that is what two of them are called) but the comments always seem to be: “It was good while it lasted.” Does that mean that google eventually finds a pattern and discounts the links? Or that they weakened the network with spammy sites? Will privacy protection really work long term? I like the idea that Postrunner sites are owned by hundreds of different people, some of whom are probably committed to maintaining strong websites going forward. It somehow feels like a more natural link profile, closer to a guest posting system and less like a farm? I just dropped another network and what happens is actually what is happening to parts of Postrunner at the moment. I site has high PR – but gets 20+ posts a day – your article is only on the front page briefly – and the googlebot doesn’t notice – your article is not indexed ie the links don’t count. In Postrunner at the moment several of the high PR sites are dropped domains – they will probably lose PR in the next update (overdue as I write this) – the links will become less valuable. In the meanwhile they are getting far too many articles a day – the bot is just not noticing most of the articles posted – I’ve tested this BTW. In addition sites in the network need to be genuine high PR – PR because the right links have been pointed at it – and will stay that way. That’s why most dropped domains lose their PR – they lose the links. I have hopes for BMR because they have had the guts to put the number of your indexed posts up front and centre – so if they don’t do well on the metric people will drop them… They obviously have a business reason to ensure the quality of the network. Agreed Lissie–worrying about what “might” happen to your links in the indeterminate future just isn’t a good use of energy. Even Ezine and Hubpages aren’t certain–Squidoo got a Google penalty a few years ago for having too many, um, medical, lenses. And Today.com just went bye-be. I have to say I’m quite pleased at the quality of the services that have sprung up in the past year to service the growth in the IM community. Way back when I started (and walked to the computer barefoot in the snow), there was barely anything, and what there was was crap. Now you have Postrunner and BMR, two very solid services, for half of what Linkvana used to cost. I just don’t see any down side. Ahhhh – don’t swear around here Lorecee LMFAO! I must admit, and I don’t know if its because I am new to it all, but when I use postrunner I really only go for the blogs that are as associated to the subject of my post as possible. The talk a devaluation in postrunner bothers me because I have just joined them. I truly believe that Mark and Court know what they are talking about and I have learned a great deal from the core videos and forums. I like their motivation tools as well. I realise that posting on other sites such as EZA and Hubpages work but if the key is to get as many backlinks as possible to rank well then without postrunner I simply don’t know what to do especially since I am not earning money yet from IM. I would love to know what Mark and Court’s opinions are on what you’re saying about postrunner but in the meantime I am plugging away at it. Colin this is a business that changes all the time – there is nothing perfect out there – but TKA is pretty darn close – as you say they are great at motivation! One of the things Mark has said more than once re Postrunner sites is that he doesn’t bother with chosing only high PR sites there. Related topics is a good thing to focus on too – I’d do that rather than worry about PR and you will probably close enough. There is nothing perfect -and if you are looking for certainty and perfection find a different business – but at the end of the day keep building links! I am building links for a site which is about home improvements, etc and the article was posted on the BMR network was on a General PR-1 directory. So when it comes to the relevancy do they let you choose a site category to send that post like in postrunner?. Thanks. Loving this site. Looks like the new Ben and Griz site but from a real person who’s not superman in work ethic. I tried the 10 free links from BMR. And did the 30 month free trial of postrunner. In the end I’ve decided to not mess around with either of them and just just ezines and infobarrel. Yeah 10 C-class IP limit but each article still builds PR to your profile page. If I ever buy a wordpress blog and start my own article site then I’ll take another look at postrunner. This is a good review, I like your honesty with all the reviews you have done here. I am not making even $10 per month, and I work part time IM with kids and all so I better stick to doing things on my own. No auto stuff just yet! Taking a bit of a chill on Postrunner at the moment, although I did increase my traffic by about 100% from all the articles I submitted over the summer. Now I am having a good go at BMR. I really do like how there is no faffing about choosing a blog. Not that I mind too much with PR, but having to resubmit after 7 days is a bit of a downer. Long term, I think PR might be better since we are submitting to “real blogs”. But for the sheer ease of use, BMR is my current favorite. Another feature of BMR I love is that it won’t let you submit an article without any links…I know we have both made that mistake occasionally with PR. With PR I just contact the owner and ask them to insert it or reject the article and I resubmit it! I have not tried BMR yet but seems like you have a great review on it! So I’ll take a close look to it. Thanks. – Pages get indexed pretty fast. – There are not too many advertising and sold links like other networks sites. – Content are posted to relevant categories after moderation. – The pages get bookmarked to give some online presence and punch. So are those true for you Liz? I just signed up for BMR trial. Posted 4 articles and it just sits there spinning on the last one for hours… eventually it timed out and said I had to subscribe to post more links. Wonder if anyone else is having this problem. Looks like a good service though. I like the idea of being able to setup logins for my writers. My writer wasn’t having any problems a few hours ago Rob – but I’m not on the free trial – it migh just be a glitch. Is the domain you are linking to approved? I started off on PostRunner with my 12-year-old PR3 web site and was inundated with articles. 20-25 every single day. I did not have enough time to do any writing! I would get home and spend two hours just editing typos and trying to make sense out of horrible English. The rejection rate was high. I’m not talking about a bit of punctuation, I’m talking about unreadable text. So I finally changed my minimum words to 500 and added “native English, high quality articles only” and that finally choked the volume down to a level where I could easily handle the approvals. I now approve 99% of submissions. And Lis, I’m sure I would have approved your articles! The ones I was getting seem to have never ever been edited by someone who had a passing familiarity with the English language. Yes, it was that bad. Of course, now that PostRunner has removed Page Rank I can be assured that all my submissions will end up on PR0 sites. That one thing makes BMR *very* appealing. Not sure I’m ready to bite the bullet on the cost yet, but soon! Maybe I missing something. I have read the BMR sales page and FAQ. It appears I need to submit one original article for each backlink? They submit each article submission I make to only one of their sites? It seems to me that if that is all this amounts to, then I am just as well off to simply submit the article to one of the major article directories. I am currently a member of AMA and like the idea that I can write an article one time, and if I put some thought into the spinning I can end up with many different versions of the article, and therefor more links. Please tell me what I am missing here. Thanks for the review. This is a really great article. 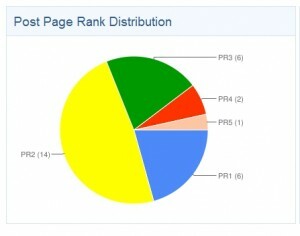 Do you have any further articles sharing your ranking results with BMR? I’ve been using it for about a month and love all the factors you pointed out but would be interested to see a real life case-study showing ranking results and how many posts were submitted/at what rate etc etc. I’m hoping you have put something like this together? I might be trying that service pretty soon. Do you know any service that will let me build backlinks in the Hebrew language? That could be neat. Sorry -they would be pretty thin on the ground! Ok, it is now 2013, post Panda and Penguin. DO you still recommend these services? Google killed many sites, many which were using link farms, blog networks, etc. Can you give your honest opinion on these services now? Interesting that the service you liked best and promoted with your affiliate link is the one that does not exists anymore 😉 I guess this services are too risky and that is why BMR and many others were hit hard by google? I think people who recommend something and later that service or program does not work anymore should either delete their review page or put a disclaimer saying that the service no longer works or it is crap. I deleted the link a long time ago. Shoot me I was wrong – guess you were never wrong either? Hey Lis. Bang, you’re dead! 😉 Totally kidding. This was a great review and I appreciate your having posted it. I was curious if you’ve heard of http://www.distributeyourarticles.com. It looks to be similar to Build My Rank, except that they take the postrunner approach of working with real blog owners and so it’s less susceptible to the outcome that Build My Rank finally had. I just came across it and actually found this post as I was looking to see if anyone had done a review between them and postrunner.